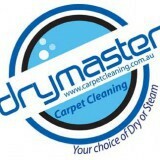 Drymaster Carpet Cleaning is the leading company for all your carpet cleaning needs! Our team of professional cleaners is here to serve you with the best quality carpet cleaning Melbourne. We provide innovative approaches to clean your carpets.